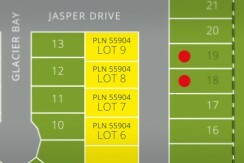 Parkhill Place is a new 145 acre residential community in the southwest corner of Steinbach, Manitoba. A variety of lot options, from single-family to townhouse-style condominiums, offers the ideal place for buyers who are moving with the whole family, just starting out, or planning to downsize. Adjacent to recreational and educational facilities such as L.A. Barkman Park and the Steinbach Soccer and Recreation Complex, Parkhill Place is a well-rounded, amenity-rich community designed for leisure and comfort. What does Parkhill Place offer? Located only 45-minutes from Winnipeg in southwest Steinbach, Parkhill Place is perfect for the buyer who wants a relaxed environment with easy access to all the amenities Steinbach has to offer. 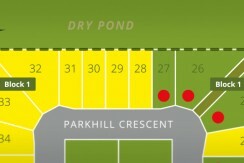 Expanding across 145 acres, Parkhill Place will feature a community of over 500 homes upon completion. Single-family homes, side-by-sides and townhouse-style condos will all be available. With ample green space, culture and recreational facilities, Parkhill Place provides the ideal balance of opportunity and comfort. Phase One is selling fast. Start planning your new home experience today!